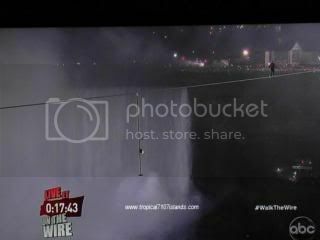 It was four days ago that Nik Wallenda cross the Niagara Falls with just tight rope walking. I watched Nik Wallenda on TV. Niagara Falls are not far from we live. My husband is working that night. I am sure if he was not working, will surely watch it on live. He crossed the Niagara Falls among the American and Canadian side. It was a death-defying show I ever watch on TV. 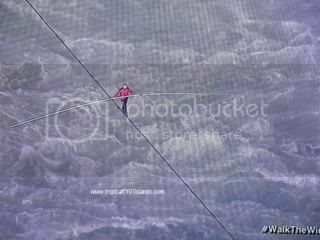 I was very nervous while watching Nik Wallenda crosses the Niagara Falls. 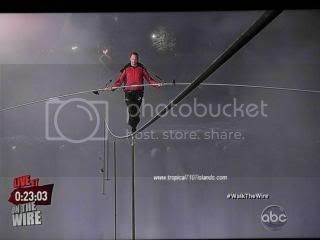 Nik Wallenda made world history that night. The first ever stunt man cross the Niagara Falls. He plans to cross the Grand Canyon as his next plan. I hope that GOD will bless and guide him again. Did you watch it on TV? 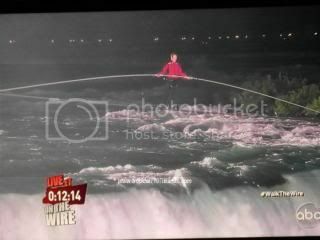 I am very happy that he crosses the American and Canadian side of the Niagara Falls. You know what is funny? The border custom asks for his passport as he cross the Canadian side. He did bring his US passport with him. He was very soak from the mist of the Mighty Niagara Falls. There is even a moment that I could not see him on TV. I thought he fell off but thanks GOD he was safe. He was talking to his Dad while crossing the American and Canadian side of the Niagara Falls. What I like about him is? He is a GOD fearing and what a humble guy. I love that he talk about making your dream or wish come true. We should never give up. Have you seen him cross the American and Canadian side of Niagara Falls? 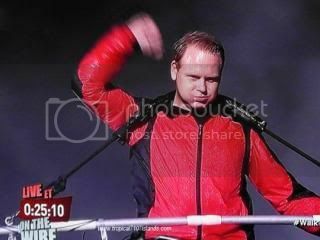 Nik Wallenda is wearing a red jacket that night. I am linking this entry to Ruby Tuesday 2 and #168 of 366 Blog Photo Challenge. 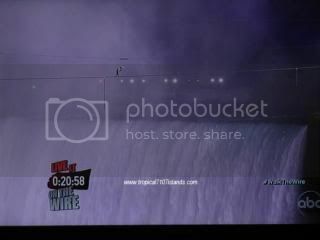 This entry was posted in clothing, falls and tagged jacket, Niagara Falls, Nik Wallenda. Bookmark the permalink.